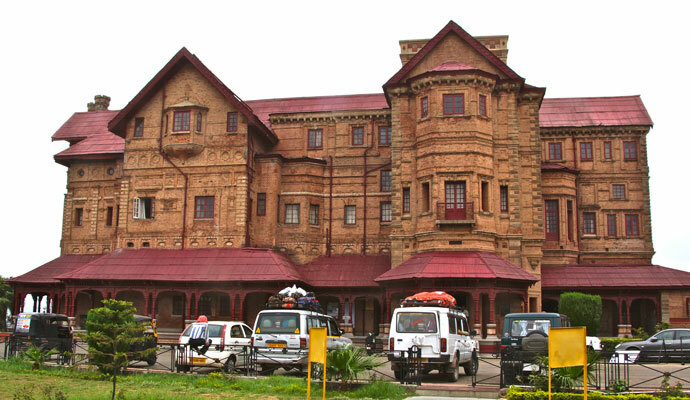 The beautiful Amar Mahal Palace is situated in Jammu, now been converted into a Museum. Amar Mahal Palace is situated on the bank of river Tawi and offers a grand view of majestic Sivalik Hills. The palace was built a Dogra king and last official residence of the Dogra Rajas, Suryavanshi Rajputs. 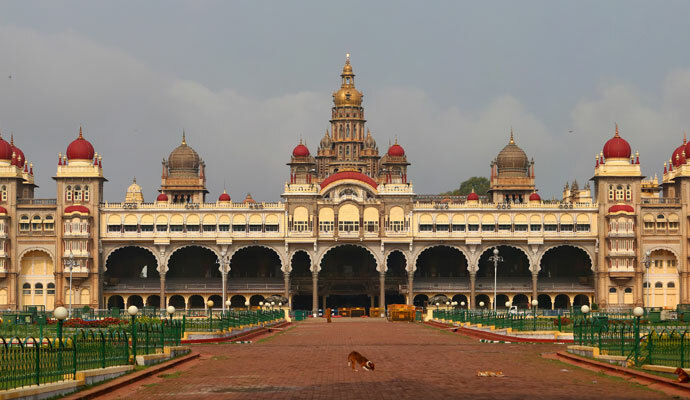 Amba Vilas Palace is known as The Palace of Mysore is situated in the city of Mysore,Karnataka. Mysore Palace is built by Wodeyar kings in the 14th century. After the Taj Mahal, The Palace of Mysore second most famous tourist attractions in India. Amba Vilas Palace is the venue of world famous Mysore Dasara festival with a parade elephants and other events at the palace grounds. The Kangla Palace is built by Meitei rulers of Manipur at Kangla on the the western bank of the river Imphal. 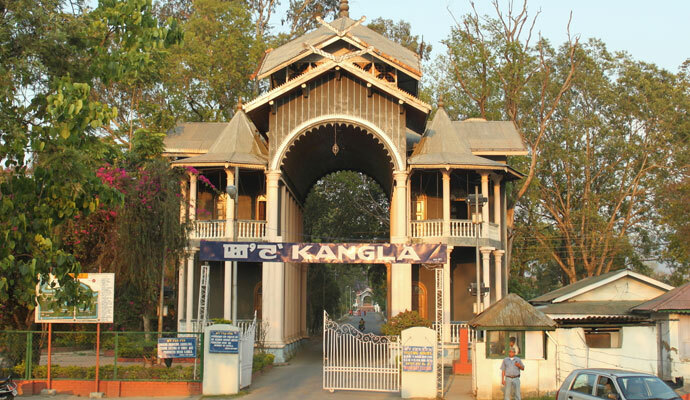 The Palace of Kangla is situated at the center of the Imphal city and a holy place for religious worship and ceremonies. The spectacular Umaid Bhawan Palace is one of the largest residences place in the world. 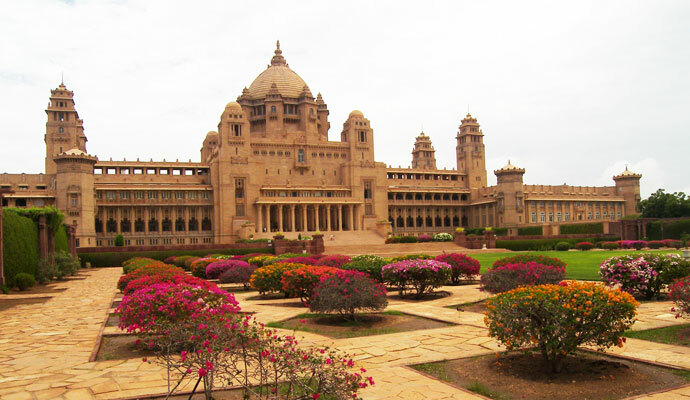 Umaid Bhawan Palace is situated Chittar Hill in the Jodhpur city of Rajasthan and a residences of Jodhpur royal family. The Chittar Palace is currently served as the residence of the royal family,a luxury Taj Palace Hotel and a Museum. 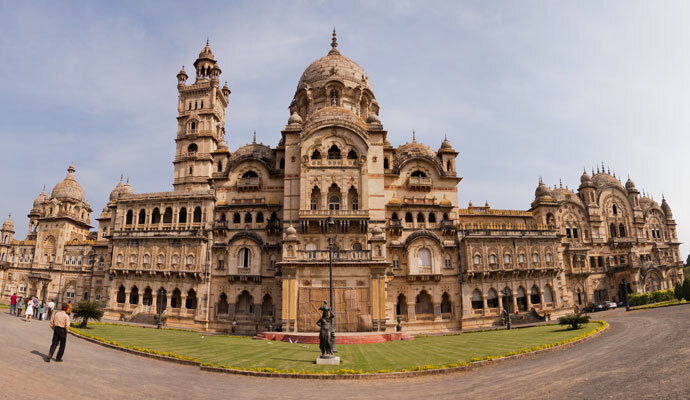 The Laxmi Vilas Palace is located in Vadodara and with series of palaces it is also known as the Maharaja Palace. Laxmi Vilas Palace is built by Gaekwad in in old classical style. 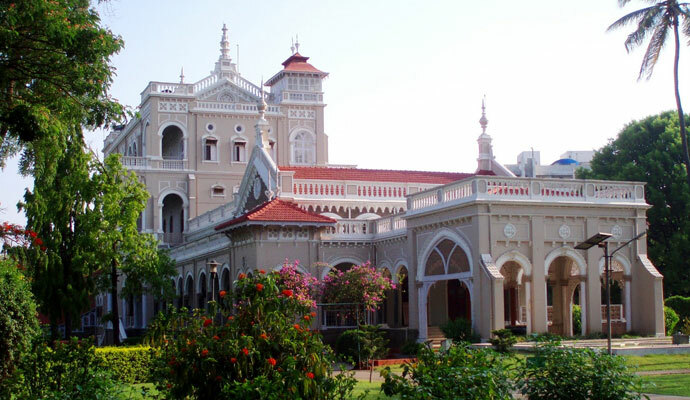 The Maharaja Palace is used as a Museum, a venue of music concerts and other cultural events. The Marble Palace is a Mansion and and most elegant houses located at Muktaram Babu Street of North Kolkata. 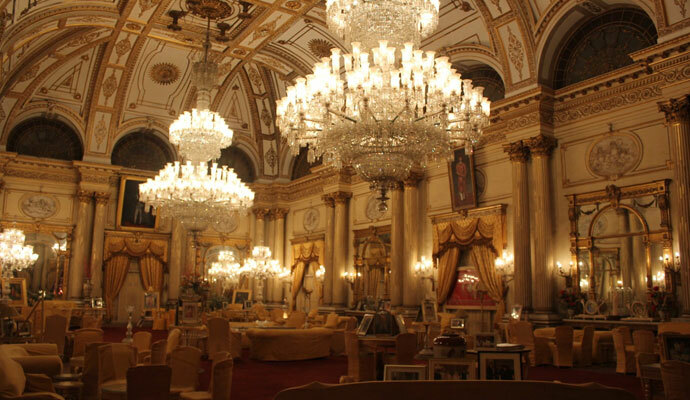 Marble Palace is well known for its marble walls and floors built by Raja Rajendra Mullick. 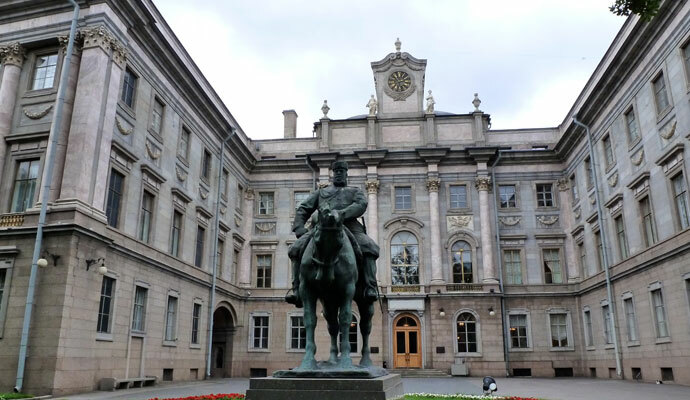 The house contains large sculpture, paintings and other valuable pieces along with a Marble Palace Zoo located next to the palace. West Bengal also have another famous palace called Cooch Behar Palace or the royal palace of cooch behar on the model of Buckingham Palace. 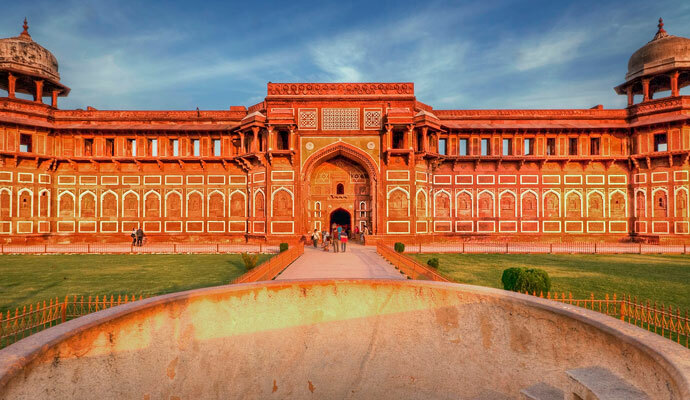 The Jahangiri Mahal is situated inside the great Agra Fort,located in Agra, Uttar Pradesh. Jahangir Palace is one of the noteworthy structure inside the Agra Fort others are The Khas Mahal,Diwan-i-Am, Diwan-e-Khas,Anguri Bagh and Moti Masjid. The Thirumalai Nayak Palace is built by King Thirumalai Nayak in the city of Madurai,Tamil Nadu. 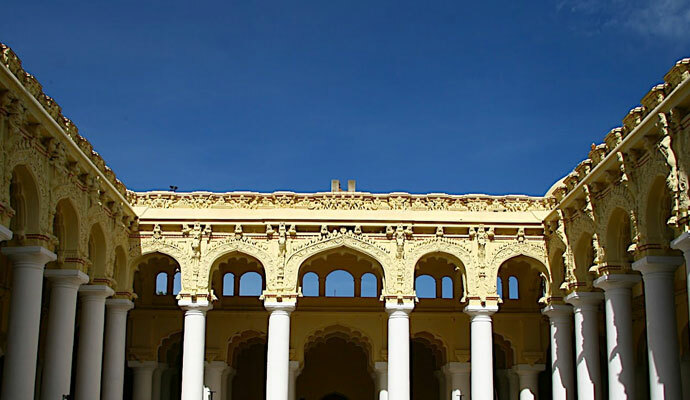 Thirumalai Nayakkar Mahal is one of the most beauitful Palace and considered to be one of the wonders of the South India. Thirumalai Palace is situated near to the famous the Meenakshi Amman Temple. The Aga Khan Palace was built by Shah Aga Khan III in 1892 near the Bund Garden in Pune. Aga Khan Palace is one of the majestic landmark of the city and one of the greatest marvels building of India. The Jai Vilas Palace is one of the grandiose, huge and beautiful palace of India,built by Maharaja Jayaji Rao Scindia. Jai Vilas Mahal is situated in city of Gwalior and now the the residence of the royal Maratha family The Scindias.